Mad Expectations has everything you need to plan a fantastic party. Our party shop has a huge selection of party decorations and supplies for you to choose from. With everything from foil letter balloons to personalised banners, we guarantee you can find everything you need for your special occasion. Our staff can help you find exactly the right decorations to suit every event and occasion, from a small private birthday party to a large anniversary party. 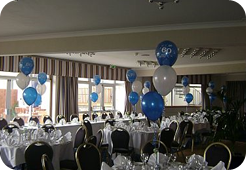 Our balloon decorations will transform your venue and add a unique personal touch to your party. 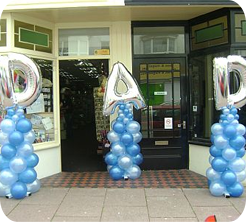 We also provide a prompt, reliable and free local balloon delivery service throughout Bexhill, so you don't have to worry about getting your party decorations to the venue.